Have you ever noticed how it always looks like summertime in many outdoor education resources even though we enjoy winter conditions for half of the school year? 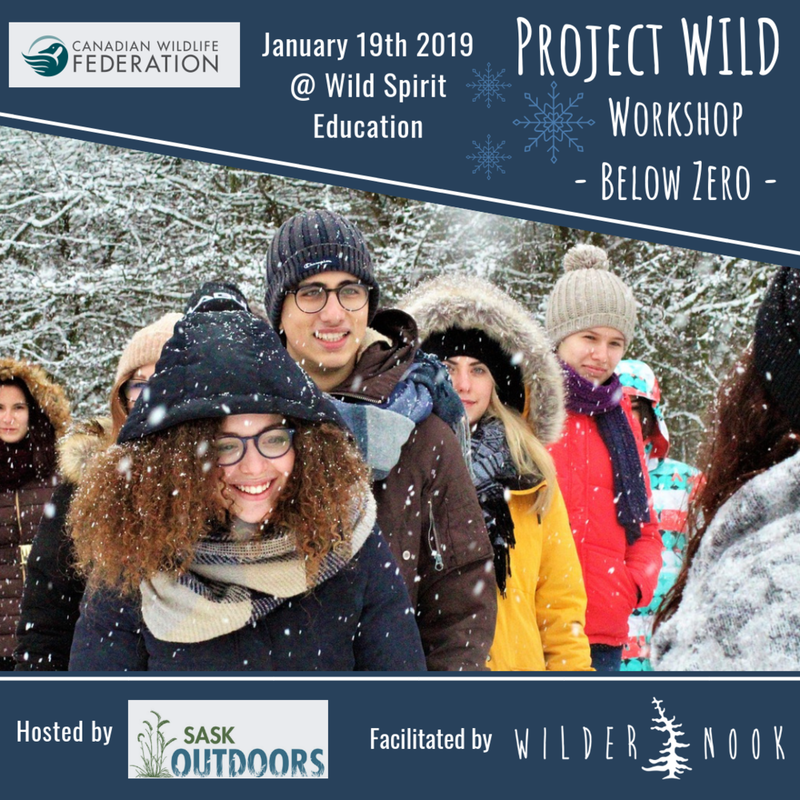 Together with SaskOutdoors, we’re pleased to bring you Below Zero, Canadian Wildlife Federation’s educational program designed to promote understanding of wildlife under winter conditions. This one-day workshop provides an introduction to facilitating Project wild activities outdoors in winter conditions. Participants completing the training will receive the Below Zero resource, which features 46 complete lesson plans. The workshop will be facilitated by Jana from Wildernook Fresh Air Learning at Wild Spirit Education, an independent school in Saskatoon. Bring or plan to buy lunch and come dressed to actively participate outside. We invite you to visit the Canadian Wildlife Federation website to see a sample activity. Let us provide the practical info and supportive nudge to help you take your teaching practice outside this winter!